Arthur Smith (April 1, 1921 – April 3, 2014) was an American musician, songwriter, and producer of records, as well as a radio and TV host for decades. 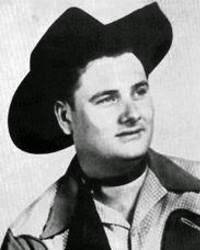 Smith produced radio and TV shows; The Arthur Smith Show was the first nationally syndicated country music show on television. After moving to Charlotte, North Carolina, Smith developed and ran the first commercial recording studio in the Southeast. Boogie." 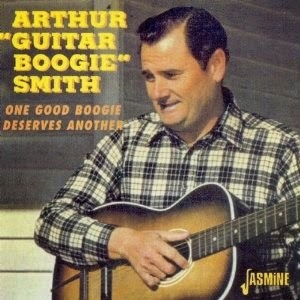 The song earned him the moniker Arthur "Guitar Boogie" Smith (to differentiate him from Tennessee fiddler and 1930s Grand Ole Opry star Fiddlin' Arthur Smith) and would be recorded by numerous others including as a rock and roll hit by Frank Virtue and The Virtues renamed the "Guitar Boogie Shuffle." Virtue served in the Navy with Smith and counted him as a major influence. 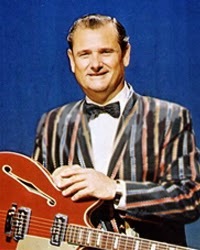 Other musicians who have been influenced by Smith include Nashville studio ace Hank "Sugarfoot" Garland, Roy Clark, Glen Campbell and surf music pioneers The Ventures. 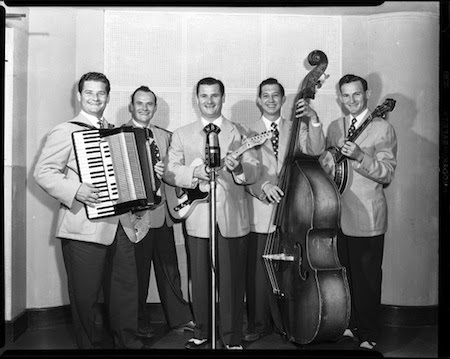 They who appeared briefly on radio in Spartanburg, South Carolina; they had limited success with their jazz format, and became a more popular Country Music group before Arthur moved to Charlotte, North Carolina to join the cast of the WBT Carolina Barndance live show and radio program. Before WWII, he was an occasional member of the WBT Briarhoppers band. 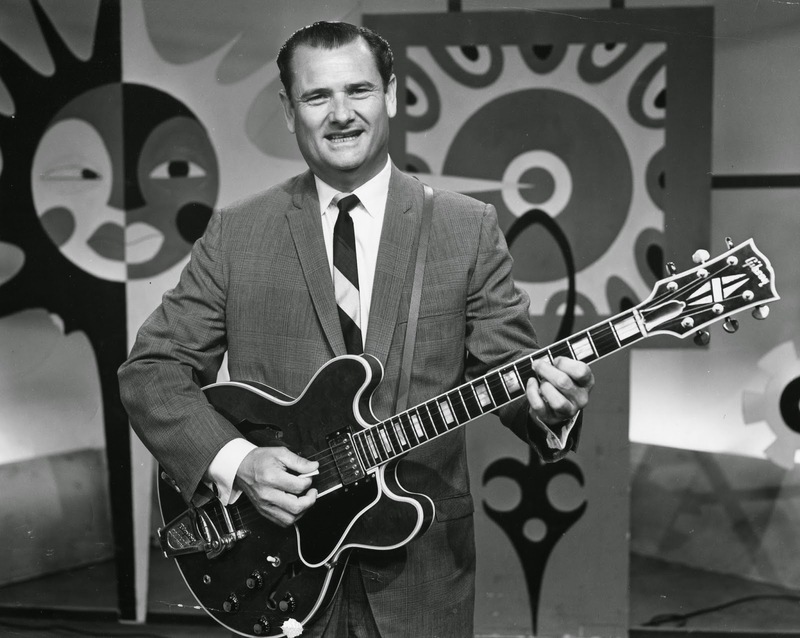 After wartime service in the US Navy, Arthur returned to Charlotte; joined by his brothers, his wife Dorothy and vocalist Roy Lear, he continued his recording career and started his own radio show "Carolina Calling" on WBT. Arthur Smith emceed part of the first live television program broadcast in 1951 by the new television station, WBTV, in Charlotte. 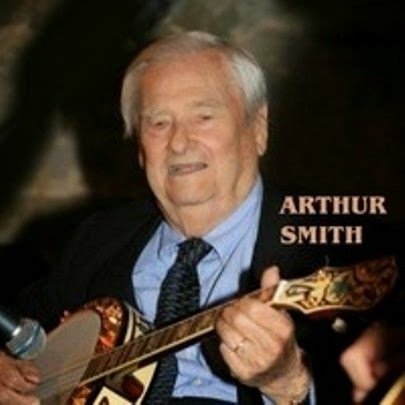 The Arthur Smith Show was also the first country music television show to be syndicated nationally, and ran for 32 years in 90 markets coast to coast. The band, now renamed Arthur Smith & His Crackerjacks, became an institution in the Southeast area through the new medium; their daily early-morning program, Carolina Calling, was carried on the CBS-TV network as a summer-replacement during the 1950s, increasing Smith's national visibility. The band was unusual for a Country Music band in that it relied on tight arrangements with written "charts" for most of their music. 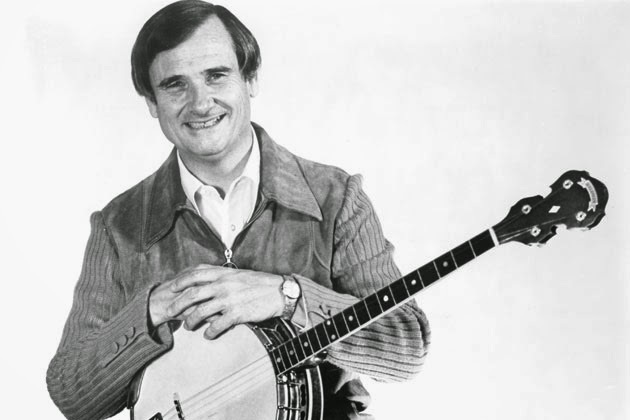 In 1955, Arthur Smith composed a banjo instrumental he called "Feudin' Banjos" and recorded the song with five-string banjo player Don Reno. Later the composition appeared in the popular 1972 film Deliverance as "Dueling Banjos" played by Eric Weissberg and Steve Mandel. Not given credit, Smith had to proceed with legal action that eventually gave him songwriting credit and back royalties. It was a landmark copyright infringement suit. music compositions including million sellers "The Fourth Man" and "I Saw A Man." 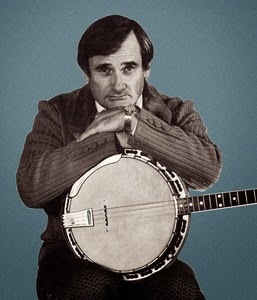 In total, his compositions have been recorded numerous times by artists including Chet Atkins, Glen Campbell, Johnny Cash, The Cathedrals, Al Hirt, Barbara Mandrell, Willie Nelson, The Gatlin Brothers, Oak Ridge Boys, Roy Orbison, Tom Petty, Boots Randolph,The Stamps, The Statler Brothers, Ricky Van Shelton and many more. Smith built and managed the first commercial recording studio in the Southeast in Charlotte; in addition to recording Smith, the Crackerjacks and its various members, such as vocalist, guitarist and songwriter Tommy Faile, it produced sides from many other acts, including rhythm and blues star James Brown, whose "Papa's Got a Brand New Bag" was cut in Smith's studio. In this facility, Smith also created and produced nationally syndicated radio programs hosted by Johnny Cash, Chet Atkins, Richard Petty, James Brown, and George Beverly Shea. Billy Graham's "Hour of Decision" radio program was first produced in Smith's studio. Smith also produced and hosted his own radio program "Top of the Morning" which was syndicated for an unbroken span of 29 years. With the advent of video-tape technology in the 1970s, Smith produced a weekly, thirty-minute program which was carried in over 90 TV markets at its peak. He produced radio and television shows for a number of other artists, including Johnny Cash, gospel singer George Beverly Shea, and was for many years associated with evangelist Billy Graham. This compilation focuses heavily on the ‘boogie’ aspects of Arthur Smith’s recordings, many with their unmistakable ‘Roots of Rock ‘N’ Roll’ feel. 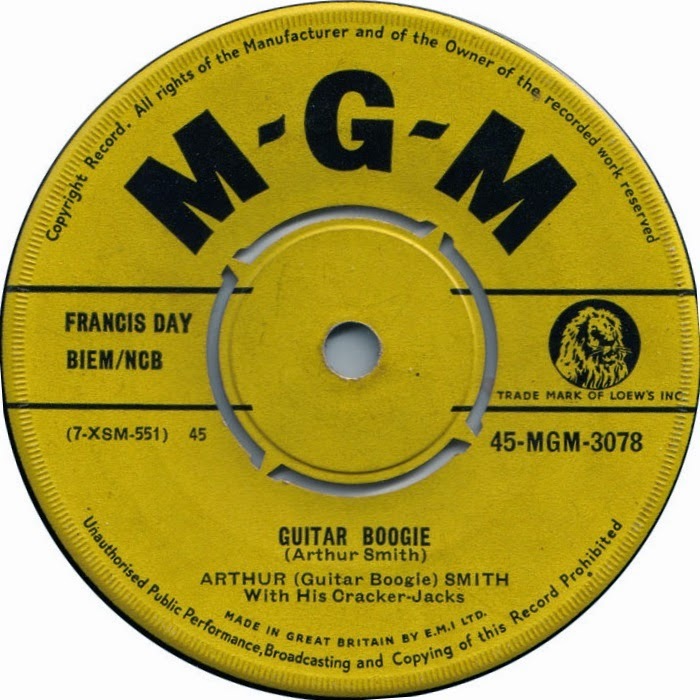 The three early hits are included, duplicating "Guitar Boogie" and "Boomerang" from the previous compilation but here improved by finding better source material. Also duplicated is "South", except this is a later, slightly slower (thus longer) recording, and it must be said, not so light in touch as the single-note guitar runs towards the end testifies. Electric guitar is self-evident on "Mountain Be Bop" and "Be Bop Rag" (both recorded at the same session), also on "Express Train Boogie". On other titles, as appropriate Arthur swaps guitar for banjo (Don Reno also crops up on banjo) or mandolin, and perhaps surprising to some listeners are his vocal contributions, all very much of the novelty Country variety. Anyway, whatever Arthur gets up to, this is a stomping reminder of the contribution he made, unwittingly maybe, to the genre which would change Pop music forever - Rock ‘N’ Roll.